Score one for Kanye West. 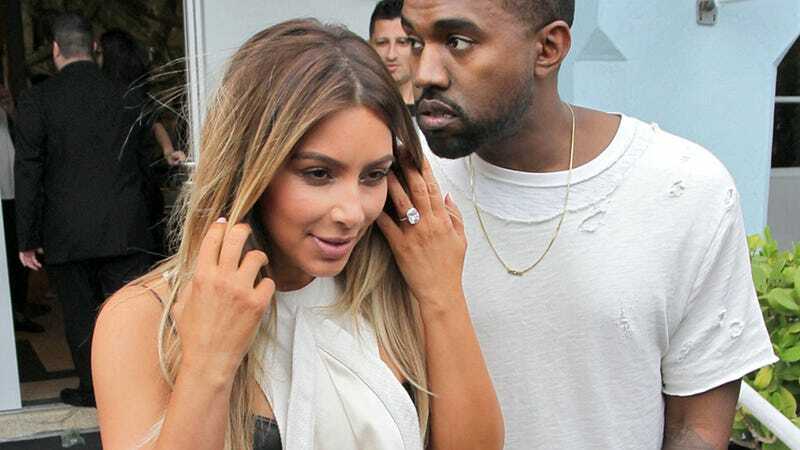 You may have been following the slew of rumors that Yeezus has been begging Vogue editor-in-chief Anna Wintour to put his fiancée, Kim Kardashian, on the cover of the esteemed publication. It's unclear whether or not he actually groveled or if Nuclear Wintour just thawed to (or was already open to) the idea of a reality star (with clothing line and a legion of fans) plastered on the front page of the Fashion Bible. But. A well-placed source tells us: "They're in LA shooting her RIGHT NOW." Stay tuned to this space for more. Image via Pacific Coast News.